Beauty at it's Best....The Clarisonic Way! The brilliant minds who brought us the revolutionary Sonicare toothbrush has entered the beauty market and is redefining clean, healthy skin with Clarisonic. The Clarisonic Skin Care System (pictured above in Pink) received the Best of Sephora Award and has taken the beauty industry by storm. "Oprah called this 'a miracle for the face" and we couldn't agree more. About the Clarisonic: The Clarisonic Skin Care Brush uses a patented sonic frequency of more than 300 movements per second to clean, soften and smooth your skin. 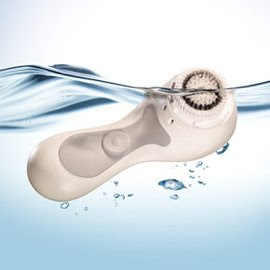 In just 60 seconds a day, the Clarisonic micro-massage action cleans more than twice as effectively as manual cleansing. 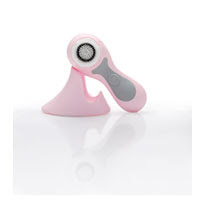 Clarisonic deeply cleanses, stimulates and opens pores for better absorption of skincare products. How it Works: With just (2) one minute twirls a day accompanied with your preferred brand nonabrasive facial cleanser your well on your way to fabulous glowing skin. 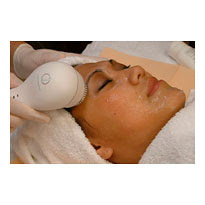 Clarisonic works with the skin's natural elasticity to reduce oily areas, dry skin patches, fine lines and wrinkles. Why I Love My Clarisonic: It's simple, takes little time or effort and the results are amazing.... I take it in the shower with me or use it in the mirror at the sink. It has two power settings for different skin sensitivities. My Clarisonic even beeps to let me know it's time to move on to the next facial area. Cheeks, Chin, Forehead and then I'm done..... I have been using this every day and one of the very first things I noticed is that when I dry my face after using it, there is no makeup residue on my towel. And it's Pink! With its easy usage, rechargeable battery and waterproof design, Clarisonic creates an at-home spa experience to treat your skin with a lil' TLC. It'll make you feel like you had a min-facial each time you use it. The Clarisonic Skin Care System retails for $195 and is available in White, Pink and Graphite Gray. Consider this an investment in your best asset....You! Taking care of your skin is one of the most important parts of your daily beauty regimen. What a better way to get into the Valentine's Day spirit than with this PINK beautifying tool for healthy, glowing skin! The system will prep your skin for a romantic night on the town or a girls only bonding sleepover. 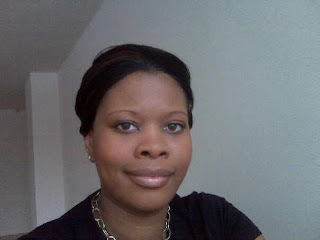 This is an actual photo of yours truly without foundation (something I hardly ever do). After two weeks look how clear my skin is... My skin feels silky and literally squeaky clean in little as one minute. Go ahead and give yourself the gift of glowing skin this Valentine's Day, trust me you'll never regret this one! And look at what the experts have to say about the Clarisonic: here.